When iOS 11 debuts this fall, users will be able to take advantage of a new feature in the Notes app that automatically senses and scans documents, makes crops, adjusts image settings to remove tilt and glare, and allows on-the-fly markups using a finger or Apple Pencil. 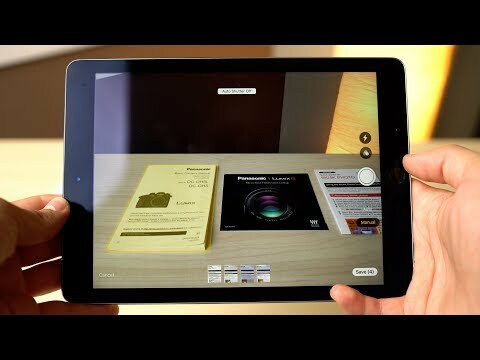 AppleInsider goes hands on with the function in this video. How many scanning and notes based apps just got Sherlocked? I can see myself deleting a couple, at least. If it does OCR, then a few more have just bought it, too. That looks very, very nice! It looks like iOS11 will actually steal the spotlight from whatever hardware is introduced in September!! Yup...one less app needed from the App Store. Sorry Scanner Pro. If the new Control Center was the only new feature I think that iOS 11 would be huge hit. I wonder why sharing is missing an option for Messages. What is impressive about Apple's implementation: It gets a perfect scan from even a steep angle. I've tried scanning the same document from an extreme angle, and from straight on, the resulting scans are indistinguishable. This is incredibly impressive and unlike anything I've ever used before. And that's not even using a special 3D camera, just the equipment on the 7 Plus. Makes you wonder what other soon-to-be application Apple has for a camera scanning something at a distance at an extreme angle...OH that's right, Face ID. Scanner Pro is super good for me right now. Not sure why i have to create a Note first to use the scan option. Seems like an extra step. I suppose real world usage will help me decide what's the best option. No doubt Apple has really taken a major step forward with iOS 11. Can't wait! This is all well & good but a simple photographed signature markup seems to elude iOS. Mail has inline signing but it won't snap or import an image, MacOS insists on vector-tracing a signature making it look fake. Only Adobe fill & sign gets close but even then PDF document management is woeful, iBooks won't share and where's Preview? I hope iOS11 fixes all. What I want and need in Notes/scans: A way to email groups of separate scans.